Find pairs of tiles in this classic matching game. 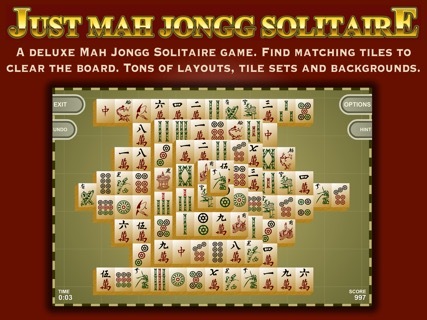 A deluxe Mah Jongg Solitaire game for iOS from the folks at JustMahJonggSolitaire.com. Find matching tiles and try to clear the board. Tons of features and game variations. 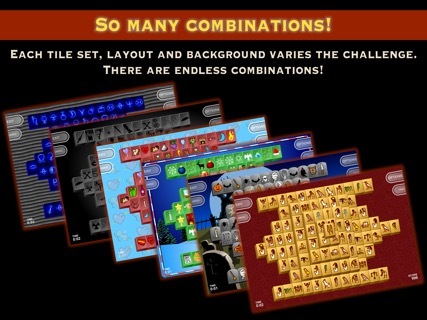 Layouts: More than 100 layouts to choose from including the classic Mah Jongg solitaire layout, a quick version that fits better on the iPhone and iPod touch screen, and many unusual, original and challenging layouts. 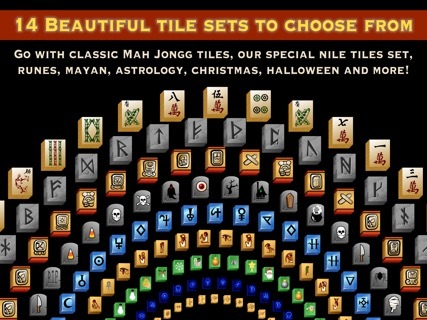 Tile sets: 11 colorful and creative tile sets, CleverMedia's famous "Nile Tiles" set, traditional Canton Chinese tile set, holiday sets for Halloween and Christmas and many more. Backgrounds: Choose from dozens of backgrounds. 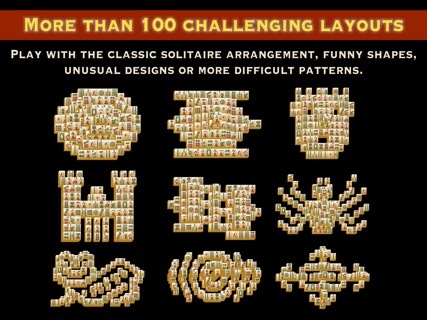 One of the key features of the game is that it creates solvable arrangements. While ultimately solving a layout is up to you and the choices you make while playing, every game you play has at least one solution. Note that this free game includes ALL features. There are no in-app purchases. 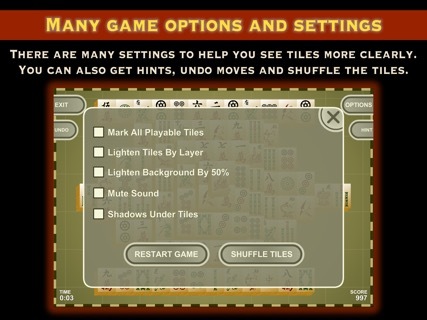 You get all the tile sets, layouts, backgrounds and features.